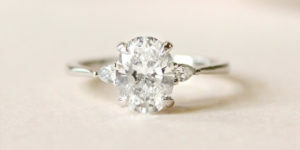 Why Should You Prefer Buying Lab-grown Diamonds From Diamonds Inc? The rate of purchasing lab-grown diamonds are continuously gaining its momentum. The primary reason behind this is the price rate that they offer. 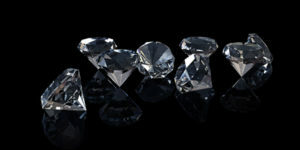 Compared to the earth-mined diamonds, lab-grown diamonds or any jewelry based on these diamonds can be obtained without spending a huge number of bucks. There are people who hesitate to buy lab-grown diamonds as they assume they are duplicate, they are the imitated version of natural diamonds. Well, to some extent they are correct. But not absolutely. Diamonds that are created in labs, under high temperature and pressure, possess identical properties of the diamonds formed by nature. They may not be the real diamonds formed in nature but are nothing less than them. 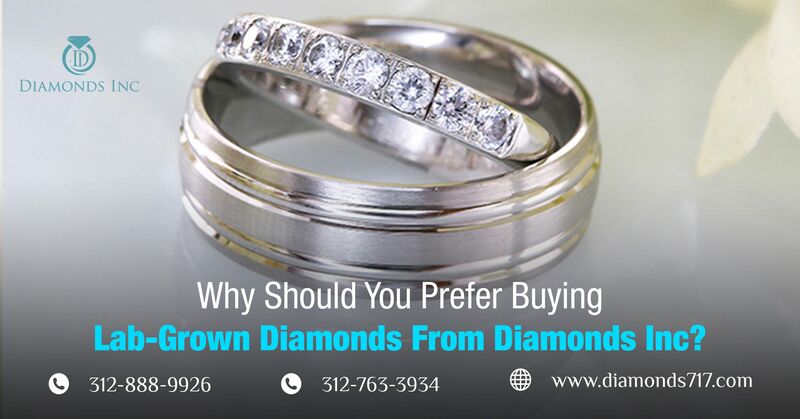 Parallelly, there are people who adore the features of lab-based diamonds but unfortunately, hover between one store to the other looking for the best, especially if you are aiming to buy diamonds from Diamonds District, Chicago. It is really very hard to find which one is the best among the thousands of jewelers in the Jewelers Row. Why don’t you trust our store? 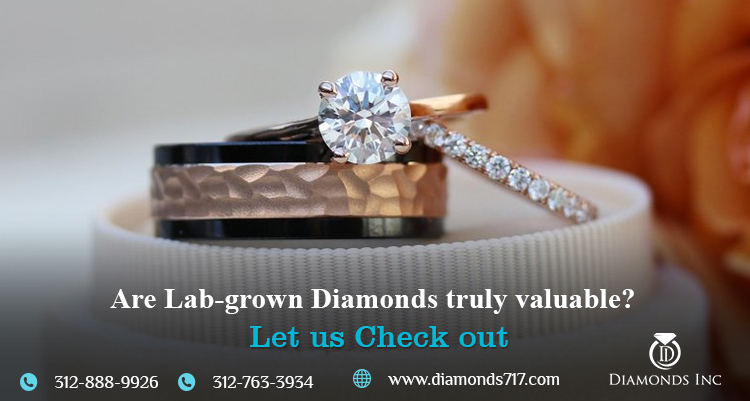 Diamonds Inc is one of the leading diamond dealers of Chicago where you will get an assorted variety of lab-grown diamonds. We don’t mind if you question us. From a consumer’s perspective, you should research the best one before relying on any brand. Here we have enlisted why our customers prefer to buy lab-grown diamonds from us again and again. Hope this will help you as well. 1. Life-Time Guarantee: Diamonds are forever, as you know. But can lab-grown diamonds be forever? Yeah. We provide the superior quality of diamonds with life-time guarantee. We deliver diamonds that possess greater sustainability and durability. It doesn’t matter whether you buy loose diamonds or diamond based jewelries, every diamond product you purchase will forever serve you. They are less susceptible to damage and so can be termed as the best alternative for real diamonds. 2. 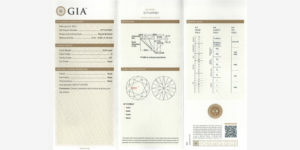 GIA Certified: Natural diamonds are graded in gem labs that are specialized in grading diamonds. Some of the most popular diamond certification lab centers are Gemological Institute of America (GIA), Antwerp World Diamond Center (AWDC), American Gem Society (AGS), International Gemological Institute (IGI), and Gemological Science International (GSI). However, among these GIA and AGS are most commonly used. Our lab-grown diamonds are all GIA certified. 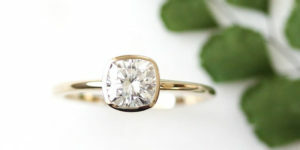 Since they possess the 4C’s of an organic diamond, they are certified in a similar way as the real diamonds. In this grading process, each diamond is graded independently and later compiled and analyzed to determine the final grade. Likewise, each and every diamond will obtain an unbiased grade. 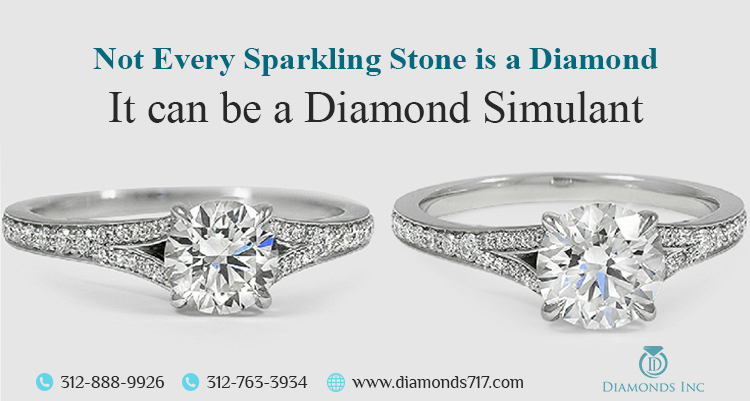 Hence, if you are looking for GIA certified diamonds, then visit our shop and make your purchase. 3. Pocket-Friendly Rate: Diamonds are expensive and sometimes they are beyond the access level. That is the reason why people skip the idea of buying diamonds, instead, they look for different other alternatives. If expensive natural diamonds are pinching your pocket then we have an amazing and consoling option for you. Lab-grown diamonds with respect to the mined diamonds are budget-friendly. If you are budget-freaks, then these diamonds will definitely cater to your needs. 4. Nature-Friendly: Finally, our lab-created diamonds are friendly to nature. Unlike the natural diamonds that disturb a thousand tonnes of earth and create pollution, these diamonds do not agitate earth in any case. Since they are created in the laboratories they do not affect nature, neither they disappoint the mother earth. You don’t have to rely on our words. If you are interested and want to witness our collection then just make an appointment and reach us directly at the store. We have several other diamond products starting from the engagement ring to diamond wedding bands. Like many other stores, we also have an option for customizing diamond jewelries using lab-created diamonds. In the end, no matter what you choose, lab-grown diamond jewelry will be beyond your imagination.